Look around at any group of people in the world and especially in Dubai and you will see that they are all clutching a mobile device and sometimes two. Information is at their fingertips. Dubai now prides itself on providing many home grown apps and in recent years the government have also produced many useful apps for the services they provide to the community. The benefit of apps is you can download them before you arrive, helping you be that little bit more prepared for life in Dubai. 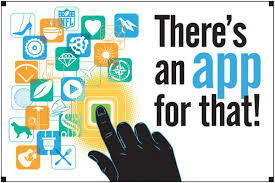 Below is a list of apps to get you started. Reporting to police your own minor fender-bender car accident has never been easier. 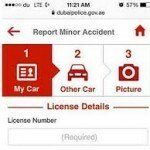 Motorists will soon be able to report their own minor vehicle accidents on local roadways via smartphone rather than calling Dubai police officers on patrol to attend the scene, confirmed a senior police official. 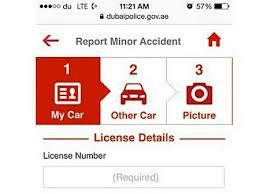 In an interview with Gulf News, Colonel Khalid Nasser Al Razooqi, General Director of Smart Services at Dubai Police, said the police service is set to launch next month a new feature of the popular app — dubbed ‘Report Minor Accident from Phone’. When asked to describe what Melltoo is, Khaled Elsayed, an early adopter, replied: “Dubizzle on steroids”. Buying and selling is social, quicker, and easier on this mobile app for iOS and Androids. The key is the built-in instant messaging platform that allows buyers and sellers to communicate. No calls, no mails, just chat to buy and sell.